Samba is danced in Brazil not only during carnival. This music of the "black lay-abouts and bandits" is more than hundred years old and has always been suspect to the Brazilian elite. During the 1960s Samba became the most popular dance music in Brazil. Nowadays Samba is regarded as the music of the legendary "Carnival in Rio", where the big samba schools from the suburbs of Rio de Janeiro fight for the championship with a bombastic show. These impressive performances have characterized the image of this music. SAMBA has conquered the world and inspires fans of all continents. 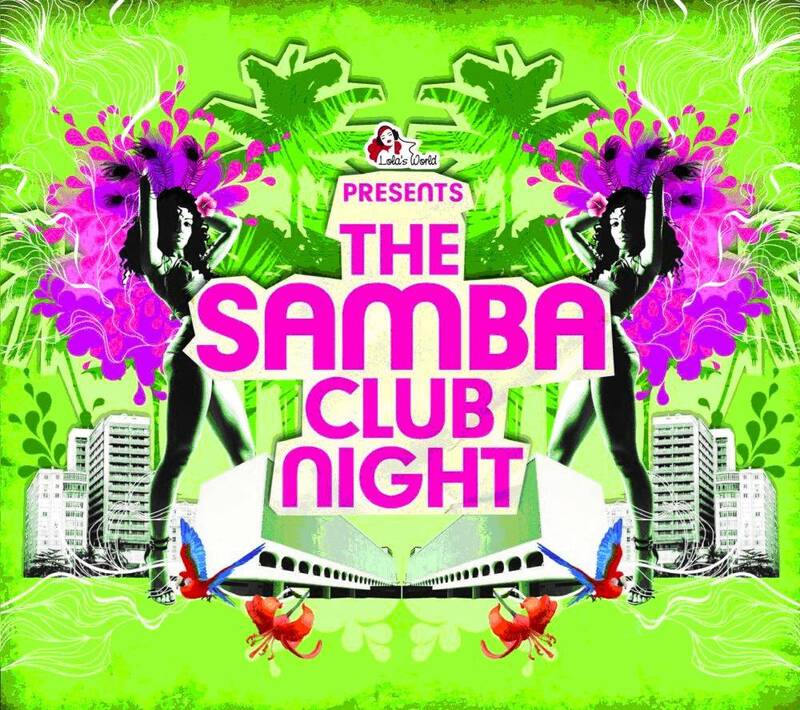 The double-sampler "The Samba Club Nightâ€ presents two very different styles considered as typical Brazilian. The young traditional "Batucada Sound" impresses with various drums and whistles, "Samba House" presents itself as actual Club&House-Sound. The Batucada-Style is nothing for weak natures, because it is drummed to the utmost. The classical artists like Jorge Ben, Gilberto Gil, Parney De Castro and James Last are presented shortly, the focus is on recent productions for an urban, European-oriented audience. The titles of DJ Rodriguez, Bobby Brazil, DJ Graham B. and Beatfanatic deserve special attention. "Samba House" presents Samba grooves in club sound arrangements. Produced for discos titles follow in quick succession, the dancer has little time to breath. Most pieces were previously unpublished, except the famous title "E Samba" by Junior Jack, "Brazil Beat" by MAW and "Tourment D'Amour" by Salome De Bahia.